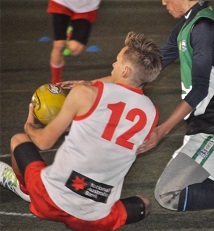 The Goannas had won their way to the decider with a comfortable 50 pt semi final win 17.17. (119) over the R246 Lions 10.9. (69), while the Powers had to fight to the end for a 7 pt win 10.16. 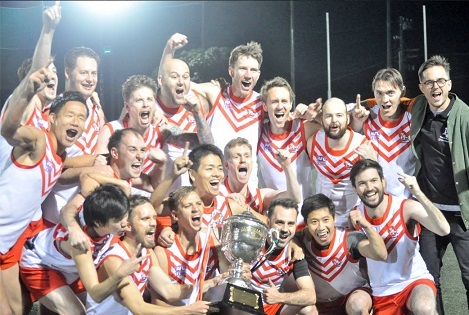 (76) over the Tokyo Bay Suns 10.9.(69). In their only previous meeting this year back in round 3 (Late June) - the Goannas had a tough time, getting home by 9 points, 9.15. (69) over the Powers 8.12.(60). Overall the Goannas hold sway comfortably head to head, however, on the basis of this close result and the Goannas finishing top, clear of the Powers only by percentage - the stage was set for a competitive decider.